We believe the days of 6% listings should be over. Technology has changed the way buyers search for a home, so we’ve adapted the selling process to help save you thousands. With Triangle Home Team Realty, you will list your home for as low as $999 and still experience exceptional service. You’ll appreciate the Triangle Home Team system of support from our first meeting, right up until closing. Whether we help you sell your home and buy your next one, or meet you as a buyer or seller, you can count on our integrity, knowledge, experience and commitment. When it comes to the evaluation of your home, Mike Proctor is uniquely positioned to help you with the highest asking price. You see, Mike has been appraising homes in the Triangle area as a NC Certified Real Estate Appraiser for 13 years and owned his own appraisal business for 10 years. He continues to do appraisals today. Since 2005, he has completed over 3200 valuations of Triangle homes. This gives him a keen sense of value over a wide spectrum of real estate in the Triangle. Servicing all of Wake County, he has evaluated homes in most every community and development. When it comes to the staging and digital presentation of your home, you can rely on the other Triangle Home Realty partner, Tonya Proctor. An alumni of NCSU School of Horticulture, Tonya has a gift for presentation and an eye for detail. 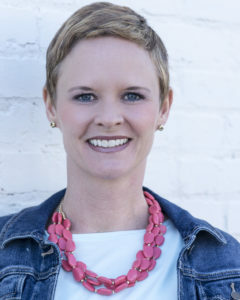 With 25 years of design experience, her photography experience and professional equipment, Tonya provides an unparalleled digital staging presence for each of the homes Triangle Home Team Realty lists. Now for the human side of the transaction, we offer trust, compassion and culture of a family-run business. Mike and Tonya have been married for 23 years and are engrained in the Apex community through church, school and local sports teams. Mike moved to Raleigh as an 18-year-old freshman at N.C.State in the fall of 1986 and has called the Triangle home since that time. After completing his degree in Economics at NCSU, he enrolled at North Carolina Central to become certified to teach middle and high school Math. Mike spent 9 years teaching at both Apex High and Fuquay Varina Middle Schools. In 2005, Mike left his teaching position at Apex to enter the world of Real Estate as an appraiser. Mike opened his own Appraisal firm in 2007 and continues to perform appraisals. With his appraisal background, Mike stays on the pulse of the Triangle Real Estate market. His educational background gives him a firm grasp of the differences within Wake County Schools. He is also an active member of Apex United Methodist Church, has served 4 years on the Board of Governors for The Club at 12 Oaks, and is a volunteer coach for The Triangle Flight Basketball Club in Apex, NC. By opening Triangle Home Team Realty, Mike hopes to offer you a better option for buying or selling your home. Joy is an Apex “transplant” with deep roots in the community. Having been born in Augusta, GA she moved to the Apex area over 30 years ago. She graduated from Apex High School and later Peace College in Raleigh. She has a bachelor’s degree in Business Administration and is a licensed Realtor. Joy takes great pride in her ability to truly listen to clients and connect their needs with opportunity. Joy’s easy-going manner combined with her fierce devotion to service make her the perfect advocate for the needs of her clients, family, faith and community. An active member of Apex Baptist Church, Joy has served as a both a Sunday school and preschool teacher for years. She considers herself fortunate to have grown up in the Apex area and delights in sharing her love of what the area offers. From the century-old downtown area to the new developments of Sweetwater and Bella Casa, Apex offers both small town values and the experiences of being so close to the city of Raleigh. Together with her husband and two teenage boys, Joy takes advantage of what it means to live and work here. When she’s not helping her clients find the perfect home, she enjoys weekends at the beach and volunteering at her son’s schools. On Friday nights, you might run into her at one of the restaurants downtown, or in the stands at a Friendship High School football game. With so many events and offerings, it can be hard to decide whether to shop at a local boutique or barn sale, visit the State Farmer’s Market, or head outdoors to one of the Apex community’s wonderful parks or greenways. Let Joy help you discover or renew a love for the Apex community. Whether selling or buying, Joy is ready to learn about your needs and work to fulfill them. Give her a call at 919.355-8063 (Triangle Home Team office) or 919.889.4114 (cell), or contact via email. Like so many others in North Carolina, Liz and her husband Eric relocated from Massachusetts in 2004. It was the mild climate, modest home prices, and low taxes that attracted them to the Triangle. Top notch schools, parks, museums, and an endless list of local and family friendly activities have since made it impossible to imagine raising their kids anywhere else. Liz has an Undergraduate degree in education and a Graduate degree in counseling. She worked as a teacher and school counselor for 8 years. In 2013, she decided to dive in to the world of Real Estate, and she hasn’t looked back. Liz loves working with people. She realizes the home buying process can be overwhelming and prides herself in guiding her clients through each step to make the entire transaction as seamless as possible. Liz is honest, committed to her clients, and loves to have some fun throughout the process. 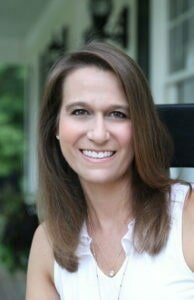 When she isn’t selling homes, you can find Liz watching her kids play local sports, running on her neighborhood greenway, or enjoying dinner with friends in Downtown Apex. Give Liz a call at 919.413.1189 or email her at liztivnan@liztivnanrealty.com. She would love to help you! Bryon has been selling real estate in the Triangle since 2006, a job that he has loved since day one. He enjoys the challenging nature, as well as the opportunity to provide a service while building lasting relationships. 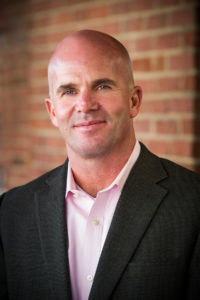 He specializes in providing options for those in the Durham, Chapel Hill and Hillsborough areas when selling their homes. As a Buyer’s Agent, his experience has helped families navigate the process in buying a house that they now call “HOME”! Bryon lives in Durham with his wife Marny, who is the Principal of the UNC Hospital School, his son Chase, who attends Smith Middle School, and their three year old Golden Doodle, Beau. 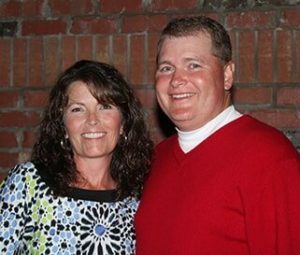 He is a Self-described Golf Fanatic, Baseball Dad and Family Man. Bryon can be reached at 919.698.8195 or bryon@bryonruben.com.